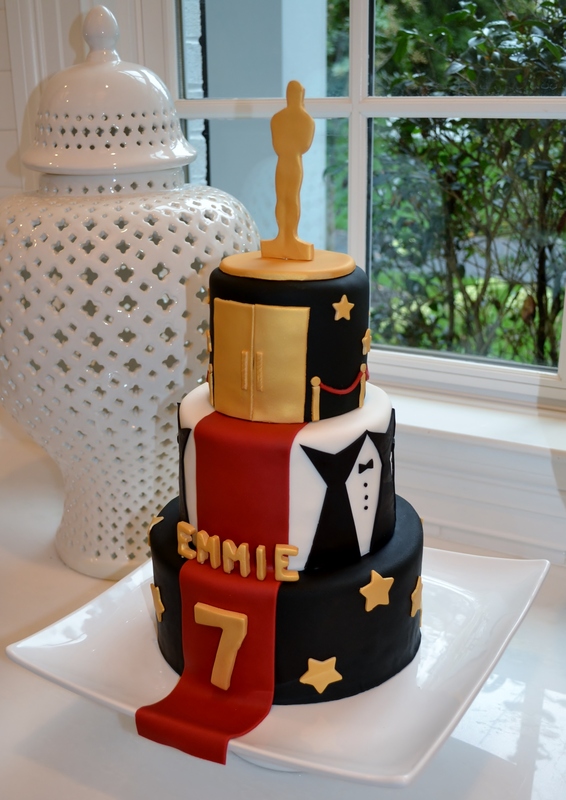 I created this cake for a client who was throwing an Oscar’s themed party for her daughter’s birthday. For the middle layer, I was able to create a black gown and tuxedo using the positive and negative space. For the top layer, I created “velvet” ropes topped with an Oscar silhouette.